Iran asserted that it would have no qualms about closing strategic Strait of Hormuz in response to any aggression, military or otherwise. Iran asserted on Thursday that the United States has no other options to pressure the regime over its nuclear program, other than war, and it is chooses to embark upon such a path, Tehran would have no qualms about closing the strategic Strait of Hormuz, its envoy to Baghdad told AFP on Thursday. Ambassador Hassan Danaie-Far insisted that Tehran retained the right to close the Strait of Hormuz, through which a third of the world's traded oil passes, in response to any aggression, military or otherwise. "What else (US President Barack) Mr. Obama can do?" Danaie-Far told AFP through an Iranian embassy translator. "The only remaining card on the table is war. Is it to their benefit? Is it to the benefit of the world? Is it to the benefit of the region?" He added that if Iran faced a "problem," it would be within its rights "to react and to defend itself." Asked if it could try to close off the strait, Danaie-Far replied: "If there is some movement and action from our enemies, including US, against us, as a part of natural reaction, that may happen." "Everybody would be a loser in that case," he added. When asked if only military or other types of pressure could warrant such a move, he told the news agency, "It can include all of them." Iran frequently conducts missile tests and maneuvers to stress its military capabilities, and has repeatedly threatened to close the Strait of Hormuz to oil tanker traffic should it be attacked. 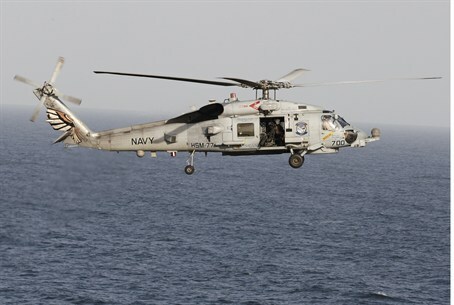 Washington has warned Tehran that any attempt to close the strait would be viewed as a "red line" and grounds for United States military action. Iran regularly denounces the regional presence of foreign forces, including American, particularly those stationed in the Gulf and maintains that the security of the region must be ensured "by regional countries."